In a different era, on a different continent at a different time of day, the sight that greeted Guy Smith was eerily reminiscent of that which presented itself to another Bentley boy 90 years ago. In both cases it was half-light – the last rays of the day disappearing for S C H ‘Sammy’ Davis, the first arriving for Smith – and they came across their respective scenes completely unsighted. Both were confronted with a rival’s car broadside across the track and had only the time it took their instincts to decide what to do next. And in the actions both took in that split second, someone else’s life was probably saved. I won’t dwell further on the details of the 1927 White House accident, because it is one of the most famous events in Le Mans history. 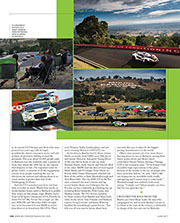 But as Smith flung his Bentley Continental GT3 into the notorious Dipper on lap six of the this year’s Bathurst 12 Hours, he found Frank Stippler’s Audi R8 parked across the track, driver’s door towards the thundering Bentley. Actually there was a space on the left-hand side, but his trajectory rendered that escape route unavailable. All he could do was fling the car at the gap on the right, which although minutely widened by a Nissan faced with the same problem seconds earlier, still seemed an impossibly narrow space through which to thread 1.2 tonnes. “I was properly scared,” Smith told me afterwards, “not so much for me, but for Frank.” Less than 15 minutes into a 12-hour race, Bentley’s Bathurst, with one car already in last place and the other apparently about to wipe itself out between a rock wall and a hard Audi, seemed destined for disaster. It takes about three hours to reach Bathurst from Sydney and, frankly, it’s a rubbish drive. On paper or Google Maps the route looks rather attractive as the Great Western Highway winds up and across the Blue Mountains to Katoomba, more than 1000 metres above the Pacific, and then descends to the plateau below. What you don’t see are the traffic, the speed limits, the police presence and the shockingly poor driving standards. After a 24-hour flight from the UK, you will likely arrive in the desperate hope that it proves a worthwhile destination. The name, however, has promise. Not Bathurst, gifted to Australia’s first inland settlement in 1815 by our then secretary of state for war and the colonies, Henry Bathurst, 3rd Earl Bathurst, but the other name by which its race track is known: Mount Panorama. The title implies elevation, horizon views and sounds a hell of lot better than the name it had before racing began here almost 80 years ago. Bald Hills was never going to cut it as a credible name for Australia’s greatest racetrack. Greatest? Come here and you’d never doubt as much. It really doesn’t matter which side of the pit wall you’re on, as a driver or spectator, Mount Panorama rivals the best in the world. And, to a certain extent, that’s its problem. It is so tortuous, narrow and, frankly, dangerous in places that racing at the top level here would never be sanctioned. 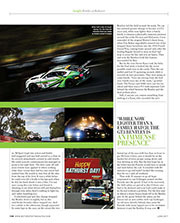 But nor is it needed: watching the latest GT3 machines spending a dozen hours racing, sliding, spinning and crashing their way around Mount Panorama offered about as much excitement as one jet-lagged correspondent could take. 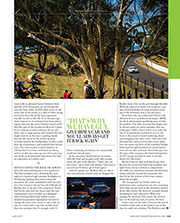 Although open to sprints and car club gatherings throughout the year, the circuit hosts but three major race meetings per season, the Bathurst 12 Hours I had come to see, a smaller six-hour race for less powerful saloons and the Bathurst 1000, populated by Australia’s beloved V8 Supercars. The 1000 is by far the most famous tin-top race in Australia and comes with its own cult following, similar in size to that accompanying the Nürburgring 24 Hours. There were years when the 1000 was almost as terrifying for spectators as drivers, thanks to thousands of Australians who came here for anything other than to watch a motor race. According to Inspector Glenn Cogdell of New South Wales Police, the stories of parked cars being set ablaze on the mountain and people arriving weeks in advance to dig underground depots for their alcohol and drug supplies are all true, but they are long since past. There are no sniffer dogs at the 12 Hours, no signs and no idiots. It seems the police are here mainly to take turns driving a Bentley Continental GT and McLaren 650S, road cars that have been wrapped in local law enforcement livery. They lap Mount Panorama during breaks between practice sessions. I ask Cogdell what chance there is of him having to do any actual policing this weekend. “Essentially, none,” he says. The race itself is growing almost exponentially in popularity in Australia and stature abroad. It’s been running for six years in its current GT3 format, and those who were present four years ago talk of empty grandstands, absent concession stores and odd pockets of spectators drifting around the perimeter. This year about 45,000 people came to Bathurst over the weekend, only a quarter of those that attend the 1000 but no one expects that disparity to last. The organisers insist its global ‘reach’, a measure of all the engagement activity from people watching the race on television, the internet and talking about it on social media, is greater than that of the Nürburgring 24 Hours. And the GT3 manufacturers have not been slow to realise as much. World-class works or works-backed teams came to Bathurst to peddle their wares on this unique stage. 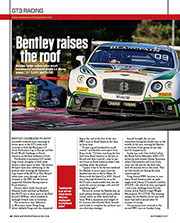 Bentley had a brace of M-Sport Continental GT3s, Porsche its latest 911 GT3Rs, Ferrari but a single car (the new 488GTB) and Mercedes-AMG brought two of its fearsome GTs and BMW no fewer than three of its brand-new M6 GT3s. There were Nissans, Audis, Lamborghinis and last year’s winning McLaren 650S GT3, too. As for drivers, Bentley had Le Mans winner Smith, ex-works Audi LMP1 racer Olly Jarvis and former McLaren Autosport Young Driver of the year Steven Kane in one car, with Maxime Soulet, Andy Soucek and Vincent Abril in the other. BMWs had the likes of local legend Mark Skaife and F1 refugee Timo Glock on board, while Nissan Motorsport wheeled out Brits of the calibre of Jann Mardenborough and Alex Buncombe. The one AMG GT in the Pro class contained last year’s winner and lap record holder Shane van Gisbergen, but the Pro-Am car has a distinctly pro-looking line up including Bernd Schneider, Pedro Lamy and Mathias Lauda. 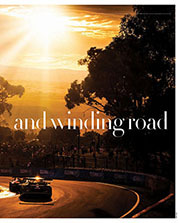 The 911 drivers included Le Mans winners Earl Bamber and Marc Lieb, while works driver Toni Vilander and Bathurst experts Craig Lowndes and Jamie Whincup handled the scintillatingly quick Ferrari. That tells you all you need to know about how seriously this race is taken by the biggest prestige manufacturers in the world. But the cars have to get there first. Qualifying was as straightforward for one Bentley as it was nightmarish for the other. The car crewed by European drivers was on the pace right away, eventually winding up fifth behind the Ferrari, two BMWs and one 911. But the Brits were having a torrid time: their car was brand-new and untested before getting on the boat to Bathurst and fuel pressure problems dogged practice. 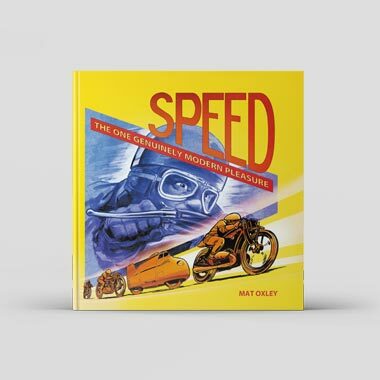 Poor Olly Jarvis was not only trying to get his head around a fiendishly difficult and technical track he’d not driven before but a car he’d driven only once, briefly, around a wet Anglesey, and all his track time was rapidly evaporating. The fuel issue was solved before qualifying, but none of the boys was happy with its handling and not even Kane, devastatingly quick over a lap, could raise it above 23rd on the grid. And then there was the heat: Even by the standards of an Australian summer Bathurst was hot and this was going to be by some margin the warmest 12-hour race yet held. On Saturday it hit 39 degC in the shade, over 50 deg on the track and goodness know what inside fireproof underwear, triple-layer Nomex and a Continental GT with a twin-turbo V8 in front of you radiating heat back into the cockpit. As Soulet was to find out in the race, even air-conditioning and air pumped direct into the driver’s helmet was often not enough to keep body temperature under control during the race. To try to understand better what the drivers faced, I hitched a lift around the track with Cogdell between qualifying sessions. The tone for the lap is set by a first turn simply called Hell Corner. Nothing if not direct, these Australians. By the standard of what’s to come it’s actually quite straightforward, but the appropriately entitled Mountain Straight it introduces is the steepest I’ve come across so if your exit is not perfect, your lap can be over in the first 10 seconds. And then you’re on the mountain, which I can equate only to sitting on a rollercoaster going through a tunnel. 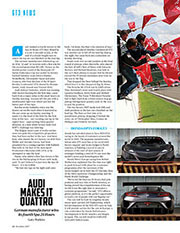 The run-off areas make the Nordschleife look like Silverstone, the gradient turns Laguna Seca into the Norfolk Broads. The Dipper, where Stippler crashed, is like driving off a cliff. Even the famed Conrod Straight allows little time for relaxation as it has an enormous crest in the middle and a 170mph kink – proudly billed as Australia’s fastest corner – at its end. The fans congregate mainly on the mountain where you need no special passes to get within a few feet of the cars. Photographers go closer still, sitting on a low retaining wall above the track with no physical barrier between them and the GT3s flying past on, and frequently over the limit. Here, 10,000 miles away on the other side of the world, is a taste of what racing must have been like at the more spectator-friendly circuits in the UK 50 or 60 years ago. And, contrary to everything I had been told to expect, this was the most civilised crowd you’ll find this side of the Goodwood Revival. I spent hours walking around soaking it all up and didn’t spot a single person who looked like they might even be on the way to getting drunk. Instead they stood in the sweltering heat, crowded around the loudspeakers so they could hear the commentary, and watched their heroes race. The event started in pitch darkness at 5.45am but I was there with them by dawn, and to see the sun come up over that scene was one of the most profound experiences I’ve had as a spectator at a motor race. Smith started the race. He always does. He hates starting but is very good at it. The field streaked away, affording the eerie sight of a hundred high intensity headlights in the distance picking their way around the mountain. An order established itself but only for a few minutes. On lap four the fifth-placed Bentley was in the pits with a puncture. Soulet had hit the wall and two hours later the true consequences were revealed as a damaged wheel bearing failed, after which a more detailed examination highlighted the need to change the entire rear corner. It only took six laps of a track with a lap time of little more than two minutes, but it’s enough: with 10 hours remaining, all chances of a memorable result had already gone. And he’s quick, too. 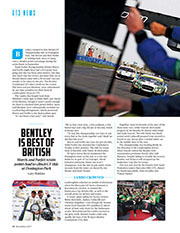 Without fuss or risk in one extraordinary double stint, he dragged the Bentley from 23rd on the grid through the field. When he came in to hand over to Jarvis, a car that should probably be lying wrecked at the top of the mountain was in second place. From there the race ebbed and flowed with different drivers on different strategies. BMW, for all its phenomenal qualifying pace, would be nowhere. The M6s were fast but fragile and its drivers made too many mistakes. But van Gisbergen’s AMG, which didn’t even make the top 10 in qualifying, muscled its way to the front to the sound of much muttering about sand-bagging from other crews. Mercedes had provided the course cars for this event, taken over the entire top floor of the trackside Rydges Hotel and brought hundreds of valued guests from all over the continent. Van Gisbergen was the man of the moment, the fastest Antipodean in GT3 racing and they’d come to see him deliver for Mercedes. But he’d have to deal with the Ferrari first. Because the circuit has both long straights and tight turns, set-up is always a compromise: the AMG is a downforce monster and therefore whip-crack fast around the mountain, but also by far the slowest of the front-runners down the straight. The race ground on. Gush’s safety car predictions were coming true: we were averaging more than one per hour as the mountain claimed driver after driver, the dead car car-park already brimming by early afternoon. What was causing the attrition? The circuit, the need to stay on the lead lap and, of course, the heat. Soulet came on the radio. Towards the end of a hellish double stint in the hottest part of the day, he could not continue. The Bentley came in, M-Sport leapt into action and Soulet half-staggered and was half-carried to a chair to be covered immediately covered in cold towels. He could scarcely communicate but managed to point to his right boot. The shoe came off and more towels were applied to where nothing other than vicious heat and his own sweat had scalded him. He would in time lose all the skin from the top of his foot. It was a while before he could even lift a bottle to his lips and, when he did, his hand shook it into a blur. I’ve not seen racing this raw before and found it shocking to see what drivers will put themselves through even when there’s nothing to fight for, and rather humbling too. 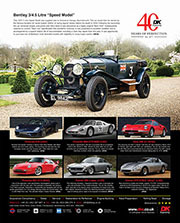 A scheduled pad and disc change dropped the Bentley down to eighth, but in this steel-brake formula others stopped too. And for a while in the afternoon, though separated by some laps in the race, on the circuit the two Bentleys led the field around the track. 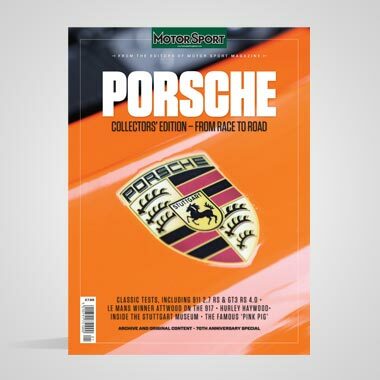 No car has endured greater change to become a GT3 racer and, while now lighter than a family hatch, it remains a physically immense presence around the svelte Ferraris and McLarens. I was reminded of the original Blower’s finest hour, when Tim Birkin improbably entered one of his stripped down leviathans into the 1930 French Grand Prix, coming home second only after the leading Bugatti elected to miss its final fuel stop to cross the line and win on fumes. Then and now the Bentleys look like hornets surrounded by flies. But by the time Steven Kane took the helm for the final stint, it looked like the worst possible result was on the cards. Then the car stalled and lost 35 agonising seconds while it recycled its start procedure. They were going to come fourth. “Give me retiring from the lead over fourth every day of the week,” growled Gush. The Ferrari and AMG were just too far ahead and there was a 911 with superstar Lieb behind the wheel between the Bentley and the final podium place. Still, if anyone can conjure something from nothing it is Kane, who recorded the car’s fastest lap of the race with less than an hour to go. He loves it here, says it should be on the bucket list of every proper racing driver and was showing us why. 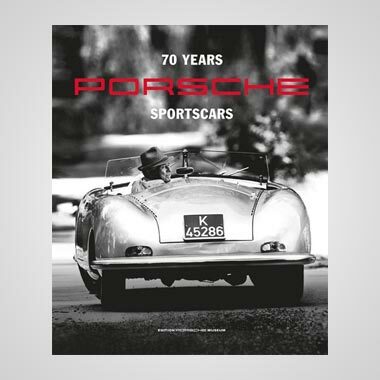 But the best hope lay in the belief that the Porsche would have to splash and dash before the end. It refuelled with 80 minutes to go and hadn’t looked like running that far on a tank all weekend. Then with 30 minutes to go all hope evaporated as van Gisbergen punted another Porsche into the gravel. It had to be recovered, the 16th safety car period in this 12-hour race had to be declared and now Lieb could make it to the end without a problem. For the first time in almost a dozen hours, heads fell in the Bentley pits. In the queue behind the safety car the Ferrari led on new rubber with van Gisbergen on old tyres directly behind, then came the Porsche with many lapped cars to be overtaken between it and the Bentley. It was over. Or maybe not. The race restarted with 19 minutes to go and in an instant Whincup and his freshly shod Ferrari ran away. But nobody had told van Gisbergen his cause was lost. Coming down the Dipper, almost exactly where Stippler’s race was run almost a dozen hours earlier, van Gisbergen buried his Merc in the barrier with no outside help. Fluid all over the track showed the rads had gone: it wouldn’t make it to end of the lap, let alone the race. Team-mate Maro Engel stalked away in disgust and said some heartfelt stuff to a waiting reporter. Kane rattled off the remaining laps and brought the Bentley home third. Euphoria erupted. 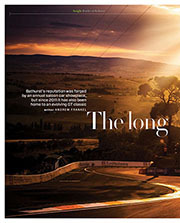 As a race itself Bathurst is without parallel in my experience. Like Mardenborough I struggle to believe they race GT3 cars there and perhaps on any other continent it would not be allowed. But out here, on the far side of the Blue Mountains in New South Wales, another law applies. It’s one that allows racers to race and spectators to spectate free from let or hindrance. Put it this way: if I could see just one more sports car race and wanted the nearest thing to a guarantee of the best view of the best racing on the best track, I’d happily fly straight over Le Mans and the Nürburgring to come here. It might have taken 24 hours of travel and a few more to get home, but the memories of two days in the air are already fading fast while those of a dozen hours at Mount Panorama will likely last forever. 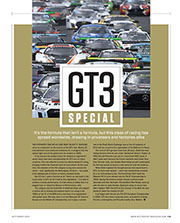 While the very top of the sports cars pyramid scrabbles around insisting everything is fine, despite one of its three manufacturers pulling the plug, GT3 is flying – and has been for years. The difference, and the key to the category’s stability, is the simple fact that manufacturers are not at its core. They’re important, but not its heart. a backbone of big factory projects running through it. Factory involvement for Aston Martin goes further, but in the opposite direction: to the street. 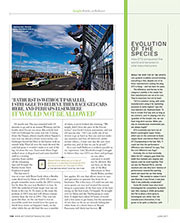 Racing plays a vital role, according to AMR head John Gaw. 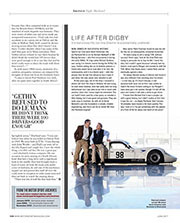 “We go racing for Aston Martin to win, and it’s important the car looks like a road car. It’s a good marketing tool. For Aston there are three core things: one is James Bond, one is being British, and the other is racing. Aston Martin holds the honour of the first factory-produced homologated GT3 car, the DBRS9. Its successor is the current Vantage, homologated in 2012 and still winning championships today, and likely to continue until 2019 when its homologation expires. “That was always our commitment to the customers, we don’t want to force customers who want to race Aston Martins to part unnecessarily with the money when they can still race the current car and win,” says Williamson. Come 2019, Aston Martin will be the last of the manufacturers to switch to the ‘next-generation’ GT3 machines, and drivers and teams will be forced to shell out for a new car to continue competing. The end result is a category with more manufacturers represented than any other; the Bathurst top 10 shoot-out had seven different marques battling it out, and packed grids. And now, as Ratel points out, manufacturers don’t even hesitate to build a GT3, it’s a given. And the fans have followed, to create a stable but growing worldwide beast.